This is almost it! 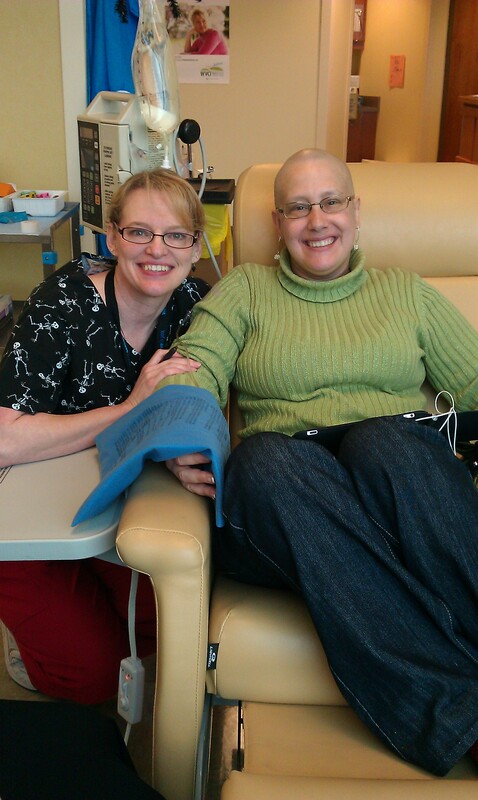 I got my 11th chemotherapy treatment today and I’m so glad it’s done. I, of course, do not feel good anymore – those last 3 days were so wonderful. I’m just going to enjoy the memories of those great days, and know that I will have more to come in the future. Until then, I am going to hang in there through these coming cruddy days. My appointment with Dr. Sharman went well today, he gave me a little bit of an idea what I can expect for the next year or so. Because my insurance year resets on November 1st, I asked for my next PET scan to be before the end of October. So he set it for Halloween – should be interesting. 🙂 After my last chemo on the 15th, Dr. Sharman told me that for the next 3 years or so, I will have physical exams every 3 months, and PET scans twice a year. He also said that it can be harder entering into “Survivor Mode” because as a cancer fighter, I’ve been living with tunnel vision. I have been focusing on what’s important to beat this cancer, and pretty soon, my tunnel will be opening and I will be starting to see (and allow) more things into my frame of vision. Please pray that I will be able to add things gradually while balancing getting well at the same time. This is so cool. I mean, I’m talking about getting WELL! Only ONE MORE CHEMO TO GO!!!!!! Oh, and if any of you out there love to cook or just enjoy food in general, this is one of your last opportunities to jump onto the Meal Train – toot toot! It’s pretty easy, just go to the link here: http://www.mealtrain.com/?id=m9rq8qphlkst and pick a day. The days are all pre-scheduled so all you do is pick the one that works for you. My friend Angela Miller set it up, and I think I will forever be in her debt. Or if nothing else, I definitely know how to set things up for my friends when the tables get turned some day.